A new feature film starring the late Charles Schulz’s “Peanuts” comic strip characters is scheduled for release in 2015. The Iconix Brand Group Inc., based in New York, announced today (Oct. 9) that the animated film, as yet untitled will be produced by Schulz’s son, Craig Schulz of Santa Rosa. “The screenplay is almost done. We’re working on rewrites today. Obviously, the story is top secret,” Schulz said. Craig Schulz’s son, Bryan, and Cornelius Uliano have written the screenplay for the film, Schulz said. “By keeping it in the family, we hope to keep the film true to my Dad’s work, and true to the fans,” Schulz added. Voice casting has not begun yet. 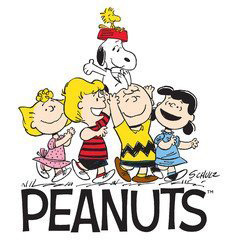 Iconix owns 80 percent of Peanuts Worldwide and the Schulz family owns the rest. They bought the brand for $175 million from E.W. Scripps Co. in April, 2010. Twentieth Century Fox and Blue Sky Studios have been chosen by the Schulz family to distribute, produce and animate the new “Peanuts” movie. Charles Schulz, who moved to Sonoma County in 1958, died in 2000 in Santa Rosa, after writing and drawing the “Peanuts” comic strip for nearly 50 years. At its height, the “Peanuts” strip ran in as many as 2,800 newspapers, and reprints still run in some 1,800 papers, including The Press Democrat. The comic strip inspired nearly 50 animated television specials, two brief animated TV series and four previous feature films, Schulz said.